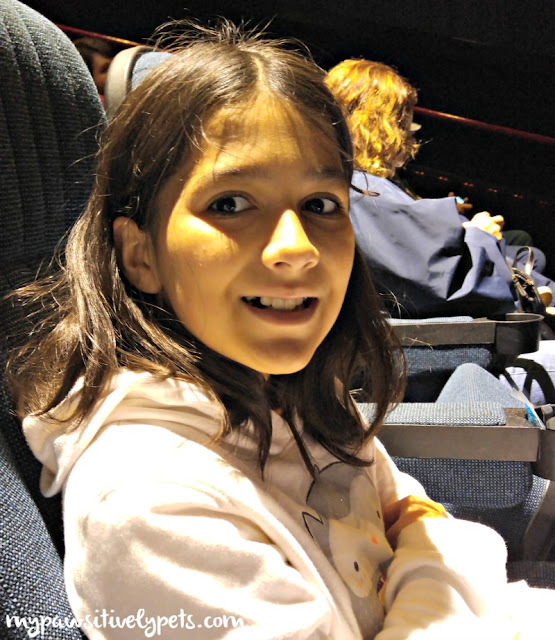 Last Sunday, I took my 11 year old daughter to watch an early screening of the new Peanuts Movie in 3D. She had seen some of the previews and was telling me that she wanted to see it. I realized this week that this was the first movie that I have watched in theaters in 3 years. It's hard to get out and see movies when you have young children. I have a 3 year old who stayed at home. I wish there had been a poster to take a picture with, but the theater we went to didn't have any. We were excited to watch the Peanuts Movie. There were lots of kids at the movie and while it was playing, I also heard lots of adults chuckling to themselves. The movie brings a new and fresh life to all of these Peanuts characters, while still embracing the characters of the long treasured comic strip. Charlie Brown never seems to have anything go his way, despite being an all around good guy. Whether it's flying kites or impressing the new girl in the neighborhood, he just never seems to get anything right. Shiner doing her best Charlie Brown impression. Of course, Charlie Brown always has his best canine companion by his side - Snoopy. In my opinion, Snoopy steals the show with his witty humor and crazy antics. 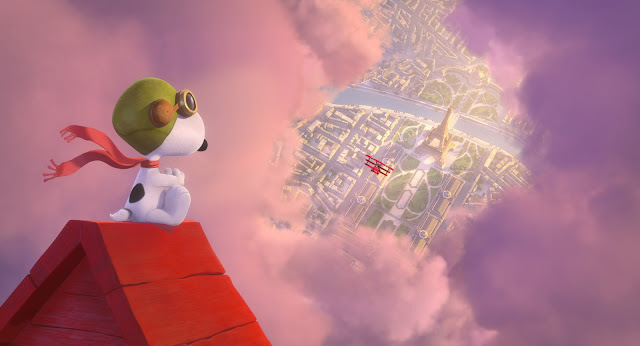 Snoopy has his own struggles throughout the Peanuts Movie, with his battle against his arch nemesis - The Red Baron. The movie goes back and forth between Charlie Brown and Snoopy's struggles. In the end, will Charlie Brown and Snoopy become victorious? I don't want to spoil it for anyone, so you'll have to watch to find out! The new Peanuts Movie is a fabulous watch for all ages, both children and adults alike. If you are looking for a good movie to see with your kids soon, I recommend the Peanuts Movie. 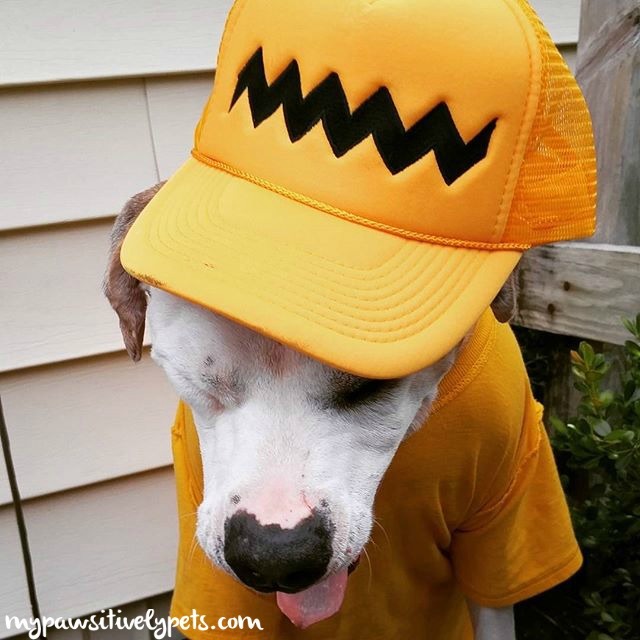 Those of you with children will love the new Peanuts Apparel line from GAP. They have a super cute collection of Peanuts themed baby and children's clothing including hats, mittens, scarves, sweaters, shoes, dresses, and more. Here's a peek at some of our favorites. Pawsitively Pets is partnering with our friend Sugar from Golden Woofs to bring you a FUN Peanuts giveaway! 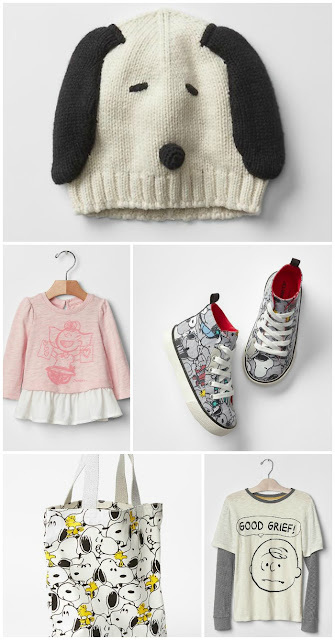 This giveaway is for one $50 GAP Gift Card to pick up some of the new Peanuts kids clothing. Giveaway is for US residents only (void where prohibited by law), ages 18+, and ends on 11/21/2015 at 11:59 PM CT. Just fill out the Rafflecopter form below to enter - good luck! We received free movie passes to watch the Peanuts Movie. This giveaway is sponsored by Pawsitively Pet and Golden Woofs. The GAP is not responsible for this giveaway or blog post in any way. The Staff is a huge fan of Charlie Brown and Snoopy since she was a nipper!!! I want to see this movie, and can't wait till I get to!!! I am most excited to see Linus with his blankie, it reminds m of my son. Dat's weally cool. And meow, da give away wuld make da purrfect Christmas purresent fur mommy's neice and neffews. Looking forward to seeing the movie too! I'm excited to see Snoopy in the movie. I'm excited to see Woodstock. I am most excited to see snoopy of course. SNOOPY OF COURSE, ALWAYS MY FAVORITE. I want to see the movie, but I keep thinking I need to find a little person to take with me! I know how that is. I don't like seeing movies by myself. I am most excited to see Lucy. She has always been my favorite! I would like to see Woodstock. I can't wait to see Snoopy, especially as the Flying Ace. I'm excited to see Peppermint Patty. I'm excited to see Snoopy. I am most excited to see Snoopy in the movie! I am excited to see Snoopy. It has to be Snoopy .. I have loved him since I have been a kid! I've always been a fan of Schroder and his piano playing! I love Lucy, she is so funny. I am excited to see Linus! I definitely want to see Linus! He's a lot like I was as a kid, constantly carrying his blankie around! Most excited to see Snoopy in the movie! I have always loved snoopy! Excited to watch! I'm hoping to see Schroder. I love watching him and Lucy interact. One of my fav scenes is the one where she keeps telling him he's playing the wrong Christmas song. We love snoopy! Thanks so much for the chances to win. I love Peanuts. When I was little I just called the show the Charlie brown show. But later found out it was called Peanuts. To this day I'm still confused on why. I like Snoopy and woodstock! Those two have been my favorites for a long time. Snoopy of course! We can't wait to see this movie! Totally the most excited to see snoopy! He was always my favorite as a kid! I am most excited to see Linus with his blanket. I am most excited to see Snoopy, my favorite!! I am most excited to see Snoopy! Snoopy and Woodstock! I already saw the movie and lOVED it. I can't wait to see Woodstock. I am most excited to see Snoopy. I fear that this will prove to be just another lets-squeeze-more-bucks-out-of-a-dead-stone attempt; I don't look forward to seeing that.